Hello, my name is Katie Gainsback and I am the coordinator for NSRC's Building Awareness in Science Education initiative. 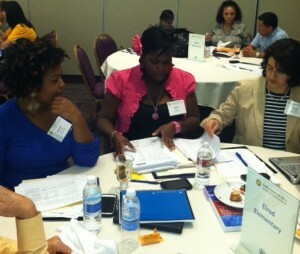 I just got back from my first trip to Texas and first time working with Houston ISD. It was an overwhelmingly positive experience. I was inspired by educators, administrators, and community members who took time out of their hectic schedules to work toward improving science education for all students.